The Hague - The UAE has sought an indication of provisional measures from the International Court of Justice in a case filed by Qatar in which Doha instituted proceedings against the UAE with regard to alleged “violations” of the international convention against racial discrimination. On the same date, Qatar also sought filed a request for indication of provisional measures for what it called “protection against further, irreparable harm ... [to] the rights of Qataris and their families [in the UAE]. The ICJ indicated certain provisional measures then. 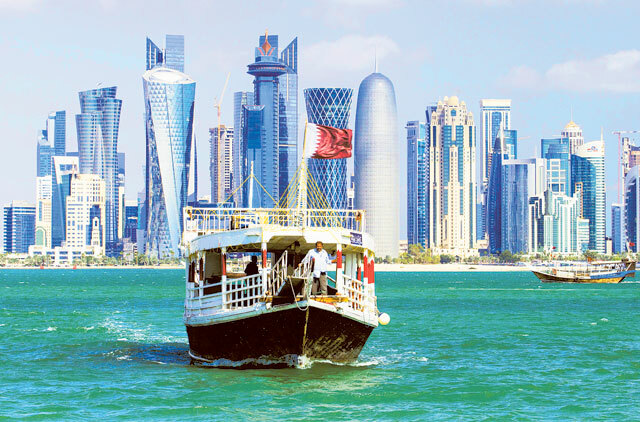 In 2018, Qatar filed the case alleging that the UAE had ordered the expulsion of Qataris from the country. The UAE maintains that Qatari citizens living in the UAE should obtain prior permission for re-entry into UAE territory. Now the UAE is requesting an indication of provisional measures from the ICJ in order to preserve its rights to procedural fairness, to an equal opportunity to present its case, and to proper administration of justice, which are being threatened by Qatar’s pursuing of parallel proceedings before the ICJ. These provisional measures are necessary in order to “prevent Qatar from further aggravating or extending the dispute between the Parties” pending a final decision in the case. In this connection, the UAE maintains that Qatar “has severely aggravated and extended the dispute”, by “referring the matter again” to the court. Doha is “hampering the UAE attempts to assist Qatari citizens, including by blocking within its territory access to the UAE Government website by which Qatari citizens can apply for a permit to return to the UAE and by using its national institutions and State-owned, controlled and funded media outlets . . . to disseminate false accusations regarding the UAE”. The UAE has said there is a real and imminent risk that “irreparable prejudice will be caused” to its procedural rights before any final judgment can be rendered by the ICJ. Saudi Arabia, the UAE, Bahrain and Egypt cut diplomatic and other relations ties with Doha on June 5, 2017, over its support for extremist groups, its close relations with Iran and its interference in other countries’ affairs. It also asked Qataris living in the three Gulf states to leave within 14 days.